We can be so egotistical about our thought processes. We think we are the smartest things in the Universe, and when our thinking is challenged we can say ‘don’t tell me I am wrong, that I don’t know what I am talking about. We would at times rather have our thinking be right even if it is going to ruin our lives, than to have to say to ourselves I am wrong, it is a peculiarity of human nature. 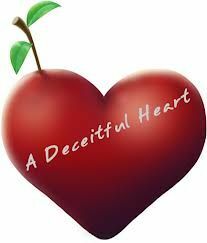 The prophet Jeremiah says The heart is deceitful above all things and beyond cure. Who can understand it? Invite someone to take a closer look at Christ and his church.